A motorist drives under downed pine trees that are resting on power lines in Freeport in this Monday, Oct. 30, 2017 file photo. 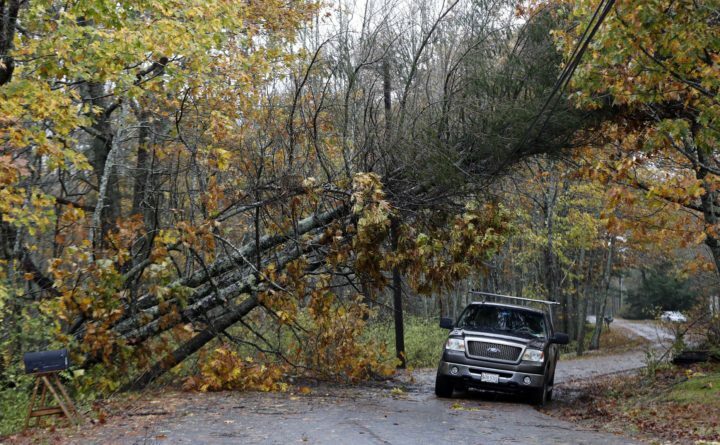 AUGUSTA, Maine — The Maine Public Utilities Commission says the state’s two largest electric utilities responded “reasonably” to a powerful October storm that left more people in the dark than the infamous 1998 ice storm. But the panel also faulted the utilities for poor communication with customers. The PUC report on Friday focused on whether Central Maine Power and Emera Maine were adequately prepared for the storm. It didn’t focus on billing questions. The report said CMP’s smart meter system failed to accurately convey outage data. Earlier in the week, CMP announced it’s improving the smart meter system while insisting the meters provided accurate information. Nearly 470,000 Central Maine Power customers lost service in the storm, and it took workers 10 days to fully restore service.